Since my son had enjoyed learning about the president’s in the third grade, I read him the article and came up with the idea that we should embark on our official tour. Over the last year, we hit the road and took to the air for our presidential adventure. The first road trip was to Washington’s home in Mount Vernon, Virginia. I was surprised that we spent the entire day at his home. We started off in the Ford Orientation Center and viewed a 20-minute film and then moved to his 18th century home that sat above the Potomac River. 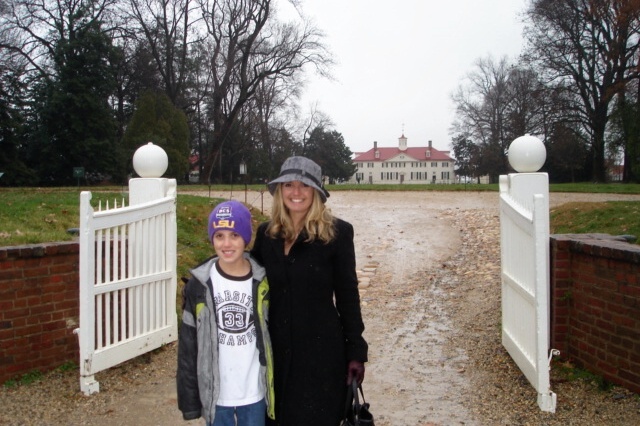 Afterward, we set off to tour the estate, taking in the gardens and visiting Washington’s tomb. The Donald W. Reynolds Museum and Education Center was one of our favorite parts of the tour, and we ended up spending hours checking out the exhibits. The videos from the History Channel that played throughout the exhibit and artifacts including George Washington’s family Bible were fantastic and brought us back in time. The estate offered several gift shops for souvenirs and two dining options; the food court at Mount Vernon or the Mount Vernon Inn Restaurant. I left feeling that every American should have this experience. Living in New York made it easy to visit Theodore Roosevelt and Franklin D. Roosevelt’s home. Both homes are National Park Service sites. Theodore Roosevelt’s home is in Oyster Bay, New York, and Franklin D. Roosevelt’s home is in Hyde Park, New York. Each had visitor centers and museums, but the homes were the main attraction. Another attraction at Theodore Roosevelt’s home was the nature trail. FDR’s car and the room with letters during the depression were standouts at the FDR Museum. Both trips made learning about these fifth cousins enjoyable. Abraham Lincoln’s home is also a National Park Service site. His brown Quaker home was tiny in comparison to all the large estates we had seen. It sat in the midst of a four-block historic neighborhood. Since we made the trip to Springfield, Illinois, we made sure we saw everything, Lincoln. 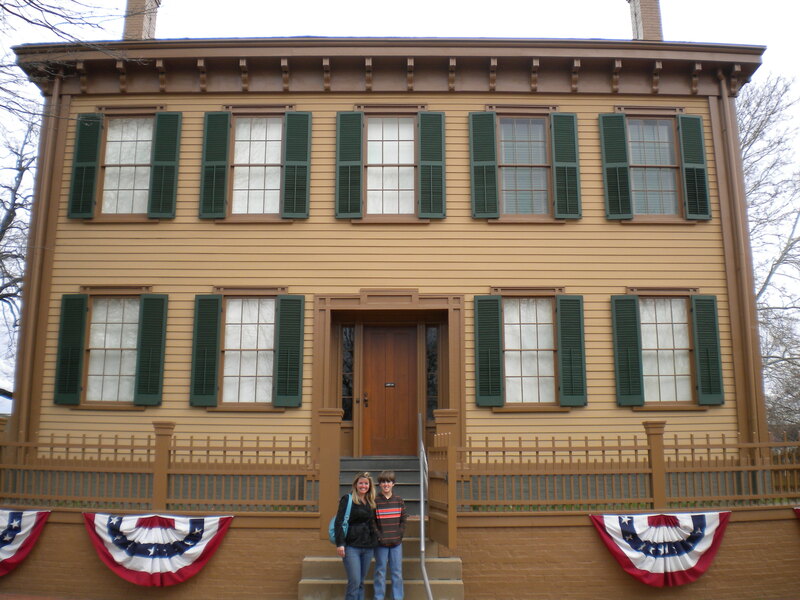 We visited Lincoln’s Tomb, the Lincoln Train Depot and the Abraham Lincoln Presidential Library & Museum. The museum was as equally impressive as the museum at Mount Vernon. 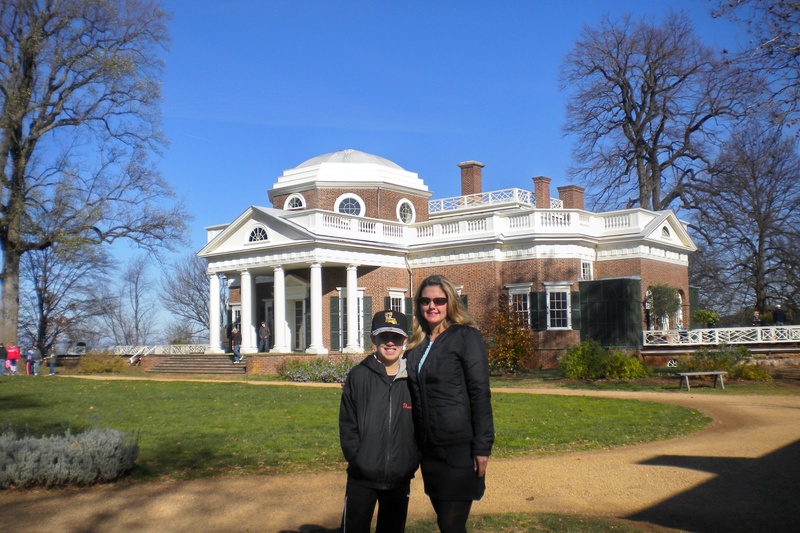 We hit the road one final time and journeyed to Charlottesville, Virginia to see Monticello, Thomas Jefferson’s home. The home and grounds were beautiful. My favorite room was the entrance hall decorated with gifts from Lewis and Clark. After visiting the four other presidential museums and education centers, Jefferson’s was the least climatic. Since we were in the area, we did visit the nearby Michie Tavern and had dinner at the Clifton Inn. This historical adventure that we took over the last year was more fun than I could ever imagine. Highlights ranged from taking in the same view of the Potomac River that George and Martha Washington did from the porch of Mount Vernon to rubbing the nose of Lincoln’s bronze visage for luck. These visits turned into more than just a historic home tours. Each trip allowed us to learn about each president’s unique life and how they shaped our nation. Our presidential home visits provided us with appreciation, and the journey turned out to be way more fun than learning from a textbook. Oh yeah, the Clifton Inn is pretty darn nice. I sat at the chef’s table, which was really a great experience seeing and interacting with staff as they prepared all the meals.